Whether you're multilingual, trying to learn a foreign language, or just want to travel Europe, America and Asia, you will face no difficulty switching easily between languages available in this application. We added more Asian languages: Yue, the Chinese dialects Wu, Hakka, Hokkien, and also the Baluchi language. Romanized translations presented for "complex" languages, in addition to native script, will help you speak the translation immediately. Hiding of slang entries now performs properly. Sporadic failures on text input have been eliminated. Correct displaying of RTL text. Support of certain buttons and keys on devices manufactured by ECTACO, Inc.
Bugs fixed in the online translation service. 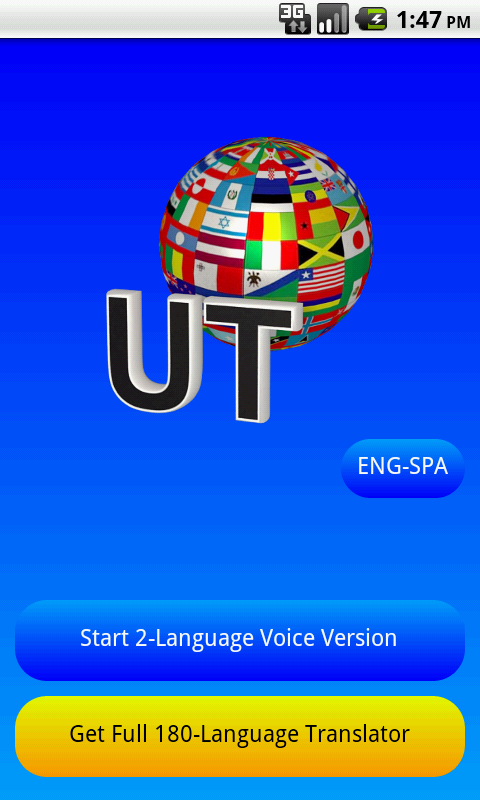 Click here to find all available Ectaco Translators at Google Play store.